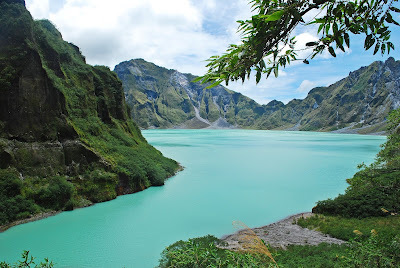 Nomadic Experiences: Why Go Backpacking in the Philippines? During my movements abroad on pit stops at various hostels, I see other travelers lingering at the common area looking at the map of the country we’re in – and scanning collectively, the map of South East Asia. These are the times when everyone’s conversation touches no other topic but travel. Once the discussion turns into “where are you from?” and I tell them I am from the Philippines, most would give me a look as if ours isn’t part of the Far East. A very few brightens up their faces and would swear at the splendor of Boracay, Bohol and mention a couple of places in Palawan that stood out in their mind. While I rejoice hearing all their recollections of previous trips to our country, I usually add more and entice them to visit again because they missed out on a lot of other must-see places. One main reason why I think backpackers often skip the Philippines is because of our location being separated from the Asian mainland where one can easily hop into trains and cross borders. The other reason mostly falls on us being unable to serve as tourism ambassadors of our country. 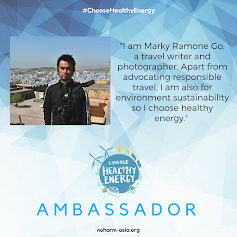 But those days are about to end as I see a growing influx of local travelers attaining foothold in influencing foreigners to visit our country through travel blogs and social media. Gone are the days when we can only give the usual places; Boracay, Palawan, Bohol whenever someone asked us where to go in the Philippines? 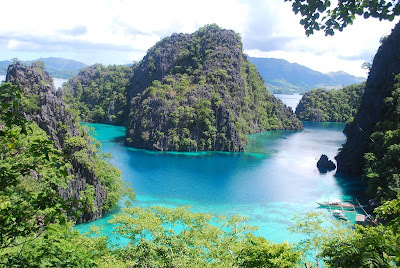 Very few people knew that the inspiration for Alex Garland’s novel “The Beach” was really in El Nido, Palawan where he lived for several months. Since the novel was set in Thailand, the immediate pop culture result was the sudden recognition of Khao San Road in Bangkok as the starting point of the “Banana Pancake Trail” – a term given to expanding routes around Southeast Asia frequented by travelers. These backpackers, mostly young people on gap years start their journey in this festive street lined up with bars and hostels before crisscrossing mainland Thailand and unto bordering countries such as Cambodia, Laos to Myanmar, Vietnam, Malaysia, Indonesia and Singapore with most of them skipping the Philippines. Young men performing a traditional dance in Banaue. This fact though, comes with a huge upside because it marks our beautiful nation in the off-the-beaten-path category that showcases still-pristine beaches and nature setting with less touristy crowd. This also gives us enough time to set up proper infrastructures and responsible tourism guidelines in place before we see an uptick in traveler arrivals. As we promote our country we must also make sure we practice being responsible voyagers. As a traveler who has visited my own share of domestic and international destinations, I can say that wandering around our country still gives me the most thrills as I slowly discover my own land with the same probing eye and wonder as I do so when engrossed in foreign cultures. Ours is diverse in its own myriad of ways - gifting us with a visual feast that shifts from every beautiful conceivable form to another. From mountains, to islands to quaint little towns highlighted by a colorful set of regional traditions and tasteful delicacies, it makes traveling in the Philippines more interesting because of the varied offerings to our senses as we trudge along each of our 81 provinces. So why should one go backpacking in the Philippines? I remember one Canadian traveler asked me this question. She quizzed me if we have the ancient temple ruins of Cambodia, Myanmar, Indonesia and Thailand, while I answered in the negative I followed it up with a series of positive characteristics of the Philippines that appeal to travelers of all kinds. I can’t remember how the rest of our talk went but looking at her Facebook images a year later, I could see that she enjoyed her time here in the Philippines much so that she extended her stay for a couple of months. Let me show you just a few of the many photographic reasons why one should definitely go. Stunning rock formation created by the unforgiving waves of the mad oceans that surrounds the Philippines for thousands of years, litters most shorelines and this one from Biri Island is just one of the five gigantic nature-carved rock hills situated in the island that delight visitors to no end. Natural pools filled with crystal clear waters and hilly greens perfect for camping circles each of these rock formations. Off-the-grid Islands such as this one called ‘Calaguas’ are too many too visit all in a lifetime. Walk over blinding white and ultra-pure sands and hear the hisses of the waves of the enticing blue waters makes one compare it to an ideal outdoor setting. 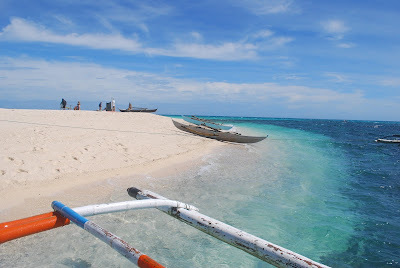 And another one example is the White Island sandbar off the coast of another island called ‘Camiguin’. Even better news is the fact that when you hop from one boat to the next from Luzon to Visayas and to Mindanao you will realize how these stunning islands becomes typical sightings. The island province of Palawan boasts of magnificent shoreline stretching to about 1,200 miles and is dotted with more than 1,780 islands and islets, limestone coves, hot springs, majestic lakes and fine-white sand beaches. It also possesses a vast land of virgin forests that encapsulate its chain of mountain ranges. A full-range of activities from mountain climbing, scuba diving, snorkeling, kayaking, beach bumming and anything related to island living awaits visitors in this pristine island province regarded by many travel publications as among the best in the world. When you had enough beaches and got tired of the island life, you can cool off at the highlands wherein snaking mountain ranges offers marvels of the lush forest and natural attractions such as rolling hills as far as the eyes can see. And a natural environment serving home to a lush set of flora and fauna for you to fully enjoy what mother nature has to offer including hundreds of waterfalls and lakes scattered all over the archipelago. And not to mention mountain peaks and volcanoes. Big cities all over the country such as Manila may present you with a sensory overload, causing at first, a fit of annoyance because of the large population and the unforgiving street activities, but once you scratched it off the surface one will discover hidden gems in every nook and crannies. Classic architecture visible on Spanish Colonial Churches and post-colonial homes produces a throwback vibe in most downtowns located in many provinces. Along the way while transporting from one spectacular nature locations to another you will pass by charming little towns offering a glimpse of the simple life in the countryside that best typifies the hospitality of the Filipino people. Indulge in the many colorful traditions and cultures by immersing with the locals sampling home-cooked delicacies and merrymaking at the numerous festivals celebrated throughout the country all year long. The ‘Dinagyang Festival‘, is just one of the many festivals celebrated throughout the entire year. The Filipino people are known to be among the most hospitable bunch in the world. With a smile on their faces ready to greet you “Mabuhay” (long live), you will never get out of place in the many islands all over this archipelago. Each encounter will surely make your trip more memorable. As you trudge along the many regions in the country, you will live out a different travel experience thanks to the many different languages, set of cultures and traditions and local cuisines that will surely satisfy all your senses. The list of reasons could go and on and on. 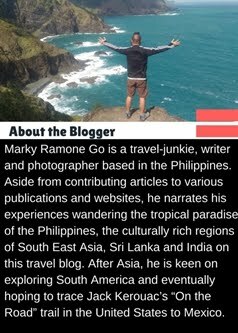 So, next time you meet fellow travelers on the road abroad, why not initiate a conversation by suggesting them to visit the Philippines and if they asked you why? Be prepared to engage in a long tête-à-tête because there’s a lot of wonderful things to say about our country.